Since unwinding the briefly held 1x long US and International equity market positions in June, we remained defensive through July. Our proprietary global risk signal has shown benign conditions since the Greek debt negotiations. Market volatility has also been kept at historical lows. In the short term, we expect volatility to normalize with the risk signal reflecting the disconnection in global imbalances in risk/reward. The Fed indicated that rates will rise after ‘some further’ job market improvements last month. Based on recent data and revised job figures, the sentiment is generally becoming more favorable for a September rate hike. 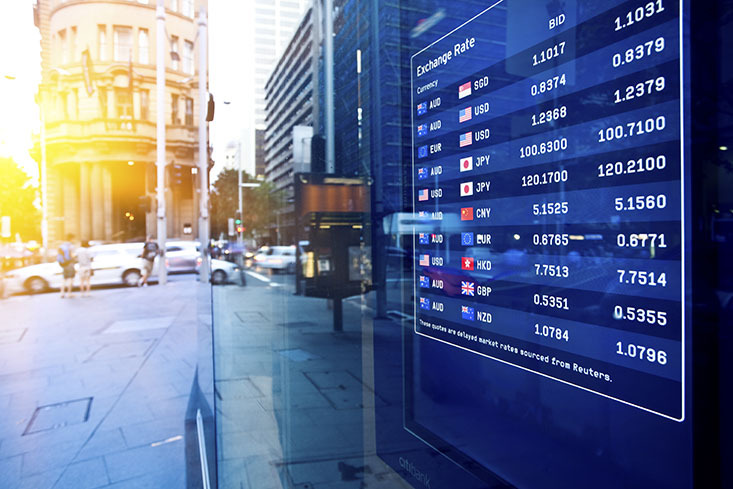 While the US stock market has not reacted to recent job reports in a meaningful manner, the US dollar regained its strength against major foreign currencies. Since our last market update in July, the US market is essentially flat. There are encouraging signs in the international equity side but as we have mentioned a few times since 2014, the strength of the US dollar has made the risk/return in these foreign markets rather unattractive. We do believe the environment has improved significantly for the Fed to hike rates next month – global concerns such as the Greek crisis and the Iranian nuclear deal largely receded and made room for rosy growth and employment numbers. With the US economy comfortably ahead in the recovery cycle compared to most developed countries, only the Bank of England is ready to march in lockstep with the Fed. However, we don’t think it should come as a surprise if the Fed delays the rate hike schedule again by pushing it back to December. The subsequent rate hikes following the first step to normalization will be gradual regardless of the start date. Interest rates have been zero bound for a while and market expectation of rate hikes seem firm even after missed predictions for April and June. For a balanced portfolio, the biggest risk is a ‘sudden’ and ‘unexpected’ rate hike, but it is hard to draw a scenario from this point where the Fed can catch the market off guard with a rate hike this year. Commodities, especially crude oil, can still be a wildcard in guessing what the Fed might do next. Even in this space, we think that the price will be range bound for a while. Monetary policies in developed market economies have gone beyond decoupling and started to form a three-tier system. The US and the UK are leading the pack with eventual interest rate normalization on the horizon while Europe and Japan continue their unconventionally easy money policy. Lagging behind are the commodity driven ‘dollar’ economies such as Australia, New Zealand and Canada – these countries are still unfashionably cutting rates to boost their economy. The threetier formation, instead of the previous ‘US vs. the rest’ layout, could help the Fed normalize rates without worrying too much about being too ahead of the cycle. Communication in monetary policy has been patchy at best and market commentators have not had any success in predicting the path to any reasonable accuracy since the crisis. As long as the process is managed gradually in line with expectations, we don’t see a significant damage to a typical equity/bond portfolio after the first rate hike. After managing the June-July stock market crash with short sell bans and questionable cooperation from domestic institutions, China is back on the headlines again – this time with a currency fix. Chinese reminbi has depreciated against the US dollar by 2% today (the People’s Bank of China fixes the currency, allowing the market to trade within a band), making this the largest daily adjustment on record. The move comes as the Chinese economy continues to stumble with disappointing inflation data and lower growth prospects. Since the Chinese reminbi is not a fully floating currency with a loose fix to the US Dollar, in real terms the currency has appreciated against other major currencies following the US Dollar strengthening trend. The depreciation of the reminbi reflects the weakening stance of the Chinese economy. While a daily movement of 2% is fairly significant in the foreign exchange market, it does not compare to the US Dollar linked appreciation that preceded it. The immediate impact has been felt in the commodity space and other Emerging Market economies. By trade and through proxy, a slower Chinese economy can have a negative impact on Emerging Market assets and physical commodities. The question is whether this is a one-time adjustment or a first of many corrections to come. A continued sign of Chinese weakness could potentially affect the Fed’s timing on hiking rates. We will continue to monitor the global risk levels closely to adjust our positions in a higher systemic risk environment. Disclaimer : Please remember that past performance may not be indicative of future results. Different types of investments involve varying degrees of risk, and there can be no assurance that the future performance of any specific investment, investment strategy, or product (including the investments and/or investment strategies recommended or undertaken by Syntal Capital Partners, LLC), or any noninvestment related content, made reference to directly or indirectly in this newsletter will be profitable, equal any corresponding indicated historical performance level(s), be suitable for your portfolio or individual situation, or prove successful. Due to various factors, including changing market conditions and/or applicable laws, the content may no longer be reflective of current opinions or positions. Moreover, you should not assume that any discussion or information contained in this newsletter serves as the receipt of, or as a substitute for, personalized investment advice from Syntal Capital Partners, LLC. Please remember to contact Syntal Capital Partners, LLC, in writing, if there are any changes in your personal/financial situation or investment objectives for the purpose of reviewing/evaluating/revising our previous recommendations and/or services. Syntal Capital Partners, LLC is neither a law firm nor a certified public accounting firm and no portion of the newsletter content should be construed as legal or accounting advice. A copy of the Syntal Capital Partners, LLC’s current written disclosure statement discussion our advisory services and fees continues to remain available upon request. IMPORTANT DISCLOSURE INFORMATION The reflected asset allocation models (Tactical Portfolio) and model sub-component (Strategic Portfolio) compiled by Syntal Capital Partners. (“Syntal”) represent hypothetical back-tested results (see Limitations below) for each asset allocation portfolio during the corresponding time period. Please Note: (1) Syntal currently utilize these asset allocation model and sub-component portfolios in managing actual client assets; and, (2) based upon various factors as discussed below, results may have materially differed from actual client results. Please Also Note: The performance results reflect reinvestment of dividends and the deduction of Syntal’s maximum investment management fee as set forth on the fee schedule disclosed on Part 2A of Syntal’s Form ADV. Per the fee schedule, Syntal’s management fee is based upon a percentage of the assets under Syntal’s management. The percentage fee decreases as the amount of assets increases. Please Note: Past performance may not be indicative of future results. Therefore, no current or prospective client should assume that future performance will be profitable, equal the performance results reflected, or equal any corresponding historical benchmark index and/or combination thereof . The historical performance results for the indices is provided to assist an individual client or prospective client in determining whether a certain model portfolio meets, or continues to meet, his/her investment objective(s) and risk tolerance. Please Also Note: (1) performance results do not reflect the impact of taxes; (2) It should not be assumed that account holdings will correspond directly to any such comparative benchmark index; (3) comparative indices may be more or less volatile than the Syntal model portfolios; and (4) a complete description of each reflected index is available upon request.. For reasons including variances in portfolio account holdings, variances in the investment management fee incurred, the date on which a client engaged Syntal’s investment advisory services, and any account contributions or withdrawals, the performance of a specific client’s account may have varied materially from the indicated hypothetical model performance results. Hypothetical Limitations: Each reflected asset allocation model (Tactical) and model sub-component (Strategic) reflect hypothetical, back-tested results, that were achieved by means of the retroactive application of a back-tested portfolio and, as such, the corresponding results have inherent limitations, including: (1) the portfolio results do not reflect the results of actual trading using client assets, but were achieved by means of the retroactive application of each of the referenced portfolios, certain aspects of which may have been designed with the benefit of hindsight; (2) back tested performance may not reflect the impact that any material market or economic factors might have had on the adviser’s use of the hypothetical portfolio if the portfolio had been used during the period to actually mange client assets; and, (3) for various reasons (including the reasons indicated above), Syntal’s clients may have experienced investment results during the corresponding time periods that were materially different from those portrayed in the reflected models and sub-components. In the event that there has been a change in a client’s investment objectives or financial situation, he/she/it is encouraged to advise Syntal immediately. Different types of investments and/or investment strategies involve varying levels of risk, and there can be no assurance that any specific investment or investment strategy (including the investments purchased and/or investment strategies devised or undertaken by Syntal) will be either suitable or profitable for a client’s or prospective client’s portfolio. All performance results have been compiled by Syntal, and have not been independently verified. Information pertaining to Syntal’s advisory operations, services and fees is set forth in Syntal’s current disclosure statement on Part 2A of Form ADV, a copy of which is available from Syntal upon request. ANY QUESTIONS: Syntal’s Chief Compliance Officer, Robert J Carlyon, remains available to address any questions regarding the performance presentation.